When you are walking into the Denver Art Museum look up just prior to entering the building. 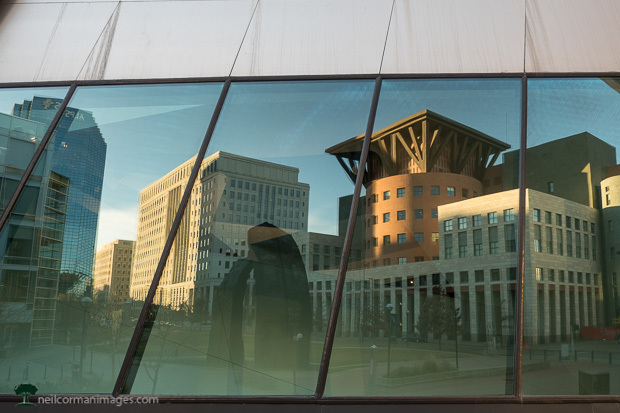 The glass above was designed to reflect the buildings nearby the building, which is the Denver Public Library and Ralph Carr Judicial Center. In some instances there may be signs on these glass windows however on Day 27 of Thirty Days I was able to capture this image on a warm Denver morning.